Lincoln Maternity Hospital is located approximately 25 minutes’ drive South West of Christchurch and provides primary birthing care and postnatal maternity services. In collaboration with your Lead Maternity Carer, Lincoln Hospital can offer you 24 hour, safe, flexible and supportive midwifery care during, and / or after, the birth of your baby. Pregnancy and birth are normal physiological processes for the majority of women. If you have no complications detected, the option of birthing at a primary unit should be offered and encouraged. By choosing to birth at a primary facility, you are more likely to have a normal birth and less likely to need interventions. Most women who choose to birth at Lincoln do so, but occasionally a transfer to tertiary services at Christchurch Women’s Hospital is necessary. Lincoln Hospital is fully equipped for childbirth, and the midwives are regularly trained to deal with emergencies. If you birth at Christchurch Women’s Hospital, you can be transferred to Lincoln for your postnatal care, either directly from the Birthing Suite, or from the Maternity Ward. In all our primary units we now offer partners the option to stay 1 night, this may be the first night or an alternative night. All our units have either a queen bed, fold out beds or lazy boys to accommodate this. 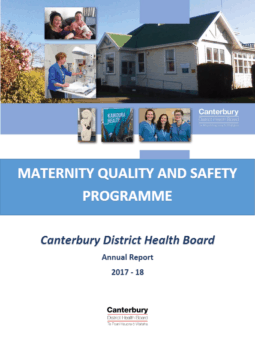 The CDHB has a consent form for partners to sign agreeing that they will support the mother and baby and abide by any health and safety regulations outlined by staff. Wi-Fi is not available; you will need your own cellular service for internet services.